Funnel is a marketing analytics software for e-commerce companies and online marketers. Funnel automatically collects data from all your advertising platforms and connects it with your conversion data. "Funnel has allowed us to do more with fewer team members and fewer hours"
I love the fact that Funnel allows you to essentially just combine all of your advertising data from all of the different advertising platforms you use into one big data set that you can then use to create automated reporting dashboards in Google Data Studio. We've saved hundreds, if not thousands, of hours by letting Funnel do the heavy lifting for us, so that we can focus more on analysis and campaign improvements, rather than just compiling the data. I honestly can't really think of anything that I dislike about Funnel. The product is great, the service is great, the price we pay for the product is fair and more than makes up for the amount of hours of manual work it saves us. If you use multiple advertising platforms, you shouldn't hesitate and just buy a Funnel subscription and save yourself a lot of time and energy. Like I said before, we don't have to spend time manually compiling campaign data from all sources. "A Work-in-Progress but Customer Support Has Been Fantastic"
Even in areas where Funnel may not excel at the moment, the customer support team has been essential to helping us implement this platform in our reporting/analytics workflow. They've been nothing short of responsive, receptive and helpful when we have questions or suggestions, and they're more than willing to explore creating new API connections for platforms they don't currently support. You won't find every single platform supported in Funnel at the moment. If you're an agency, this might be a problem depending on what platforms you need to report on, but if you're a smaller business, you'll probably find everything you need. It's also important to note that the library of supported/connected apps and platforms is growing regularly, so there's still plenty of room for Funnel to grow. Work closely with their sales and support team to find out exactly how they can help your business with Funnel. Chances are, if they don't have a feature or support something that you need to right now, they'll be willing to work on updating their platform to support it. Managing spends across all digital platforms has always been a major challenge, and Funnel allows us to visualize actual vs. budgeted spends on a monthly basis at a glance. In addition, we're currently working Funnel into our monthly reporting workflow, which has always been a massive headache due to its manual nature. Funnel will help us streamline and automate much of that workflow and allow us to focus on analysis and recommendations rather than building reports every month. "Let us solidly offload our marketing integration efforts"
The ability to export data tables to S3 for further integration has saved us endless hours for integration; the ability to pick up data from S3 has also been super useful. For what we need, Funnel's the perfect tool. They get data in and organized, we can get what we need out for analysis and comparison. There's nothing to dislike. Integrate your marketing data and get to building your own business analysis! We're building a data analytics and business intelligence team. Funnel.io took a third of the work off our plate by handling everything marketing, without sacrificing the power to integrate with what we build. The ability to offload the work without giving up control has let us rely on them far more than most tools. "Solve all your problem with gatherig cost data from ANY source"
We have a 20 different AdPlatforms in 4 countries - we need to automate gathering cost information. We need to do reporting and use this data in other systems (CRM ...) Funnel alow us just connect GA and AdPlatforms and make greate accurate report thru Data Studio. And with BigQuery export we can use our data everywhere we need. It is time sever. And also they manage all the connection, so it is worth of money. Funnel UI is very useful to manage a lot of complicated rules for dimension mapping - readable for non-programer. It can use Analyst or Marketing manager as well. "Awesome Product for Reporting and being Professionnal with Client"
Funnel is easy to set-up and use. I also love the fact that Funnel auto-tag UTMs in Facebook Ads which saved me countless hours over the months. It saves me time while doing my Weekly Reporting and it shows my clients some professionalism along the way. Their support is always responsive. I've never waited more than a couple hours sometimes for very complicated answers. I've been using Funnel for more than a year. I found a couple bugs but the product team solved them in just a couple hours. Weekly Reporting: We used to take 5 hours per week. We now take 1 hour to report to all our clients. Tagging URLs on Facebook: We used to tag URLs without much granularity (it would take too much time), Funnel does it automatically. Reporting Center: my clients now access an online portal where they can see all their reporting. ""Assume responsibility for your advertisement spend""
That I don't need to put in hours a really long time every month, breaking down the entirety of my traffic sources. Channel gives me all that I need initially. The client support is extremely incredible too and not just have I took in huge amounts of stuff from them yet additionally do they offer extraordinary preparing inside the device, help setting up your dashboards and substantially more. Nothing truly. I had a few issues with systems/channels that required some work to add to my dashboards yet the help group bailed me out there. In case you're investing an excessive amount of energy endeavoring to get a diagram of all your computerized showcasing spend - this is the apparatus for you (and yes it does as such substantially more however for me this is the greatest success). Like I referenced previously, Funnel makes my life so a lot simpler with regards to picturing my advertisement spend. In light of that I can undoubtedly observe where I might overspend and where I can spend more. "Funnel = Simple set up"
The support team is always willing to help. Besides of that, they can bring you better ways to tackle your problem using the Funnel features. The capability to export data to BigQuery is amazing. This new feature to implement custom dimensions is very useful. There isn't an implementation to filter results on data explorer view. It would be nice if I could use custom dimensions as an option in the rules to create a dimension. It would be nice if the migration process could be run more frequently. Maybe add an option to run the migration process hourly. If you want to save time and get excellent results, then use Funnel.io. Gathering cost data from different ad platforms. - The time consumed by our developers on creating our cost importers can be now used to develop new features on our site. "Great for analyzing advertising spending and budget"
Funnel makes viewing in house expenses, as well as external expenses and spending easily trackable. To be able to share data to Google Analytics (even for channels that aren't affiliated with Google) helps a lot/makes the job easy especially when it saves SO much time on manual entry. I don't have too much to dislike about Funnel.io considering mostly every time I have used this software, it has given me no problem - it is user friendly, very manageable, easy to analyze, import and export. I'd recommend Funnel.io for its ease of use and functionality in the fact the program learns and analyzes numbers better than people (scary, huh)? Solving the problem of spending countless hours manually entering budget and spending information, whereas Funnel (literally) analyzes costs thoroughly, all from one place. I guess that's why they named the program Funnel! Ease of use, especially how easy it is to set up new connections to different data sources. Also very intuitive setup of dimensions to group data. Great and quick dashboards that makes it possible to get a realtime overview of all your marketing channels without any manual work. Detailed information on users/sessions from Google Analytics can not be imported. If you spend way too much time collecting data from different advertising dashboards and summing it up in Excel then Funnel is a perfect fit for you. A great tool to get a realtime view of your marketing spend without any hassle. The best benefit is all the time we save on not mining data from several different systems and try to sum it up in Excel. Nothing - plus support responses are really quick and helpful so if there is an issue or error it's addressed quickly. Give it a go on the free trial, and make sure you set up your custom dimensions. Use Funnel's excellent resources! Reporting across our business on marketing spends is so much easier now - pushing all the data into google sheets means we can present data studio reports to internal and external stakeholders without the pain of countless excel shreadsheets flying back and forwards. "Great Product with the Support to back it up"
Their customer support is fantastic. Whenever I have an issue they are quick to get it resolved. The product has simplified our lives and given us greater insight into our marketing spend. We spend across about 10+ channels at any given time. Funnel allows us to ditch the spreadsheet and the chore of pulling spend data from every channel every day. They don't have control over when channels update their APIs. For instance, we had an issue getting spend data from Pinterest for a while. Something tells me it wasn't negligence of Funnel's side but just Pinterest changing their API. The initial problem was to eliminate the daily chore of retrieving and summarizing our ad spend every day. One member of our growth team was responsible for this and the process was just awful. Funnel eliminated that chore and automatically pulls all the spend data into our DB. In addition, we have been more granular data we can report on and alert our marketing managers on which Ads have the highest ROAS. "Great Platform for Consolidating Ad Platform Data"
It is easy to use and includes pretty much every ad platform you can think of. The data explorer lets you combine different sources to make cross-channel trends quickly. I don't like how there is no ad-level or page-level data included. I feel like this is a big miss and it will need to be included in the future for it to work long-term. It integrates nicely into Google Data Studio. You will likely still need another software to make the actual final reports. Go into it with the knowledge that ad-level and page-level data isn't collected through this platform. We have been able to automate cross-channel reporting. This saves a ton of time on reporting. That I don't have to spend hours hours and hours each month, analyzing all my traffic sources. Funnel gives me everything I need at a glance. The customer support is really great as well and not only have I learnt tons of stuff from them but also do they offer great training within the tool, help setting up your dashboards and much more. Nothing really. I had some issues with networks/channels that needed some work to add to my dashboards but the support team helped me out there. If you're spending way too much time trying to get an overview of all your digital marketing spend - this is the tool for you (and yes it does so much more but for me this is the biggest win). Like I mentioned before, Funnel makes my life so much easier when it comes to visualizing my ad spend. Based on that I can easily see where I may be overspending and where I can spend more. It also makes reporting within the organization so much smoother and I don't have to spend as much time in meetings, explaining things, anymore. 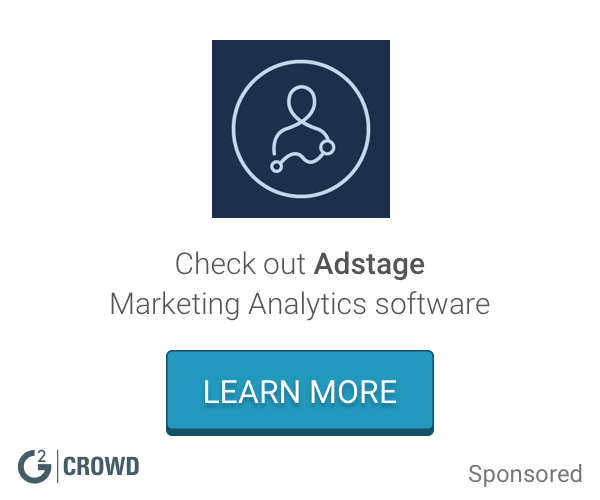 "Great tool to combine Google Analytics data and ad plattform costdata"
I like the fact the Funnel gives you both Google Analytics data and ad plattform data in one place for great insight on how all digital channels are performing in terms of traffic, conversions and costs. Great dashboard and reporting capabilities. Easy to use and setup. You have basically every metric there is from Analytics + the cost data from ad platforms. Supports also building your own custom metrics. You can also upload ad platform data to Google analytics through Funnel which is a very nice feature! Nothing bad to say about Funnel. It delivers what I expect. I've had some problems with data discrepancies regarding ecom transactions but the Funnel team helped with that fast with manual uploads of sales data. The data explorer feature could be a bit more intuitive and I've had a hard time figuring out how to match all the sources to different dimensions. I recommend everyone to try out Funnel if you need good forecasting capabilities for marketing channels and comparison on current and past performance. This gives you a quick way of seeing trends both good or bad. Forecasting spend, traffic and sales levels for given periods. I'm able to just in minutes get a overall look of our spend levels and where we are going to land on totals and individual marketing channels. I can also easily compare past performance with current performance and see trends very quickly. "Funnel makes my life so substantially simple"
That I don't need to put in hours a really long time every month, dissecting all my movement sources. Channel gives me all that I require initially. The client bolster is extremely incredible too and not just have I learnt huge amounts of stuff from them yet additionally do they offer awesome preparing inside the apparatus, help setting up your dashboards and substantially more. Nothing truly. I had a few issues with systems/channels that required some work to add to my dashboards however the help group bailed me out there. In case you're investing an excessive amount of energy attempting to get a diagram of all your advanced promoting spend. Funnel makes my life so substantially simpler with regards to picturing my promotion spend. In view of that I can without much of a stretch see where I might overspend and where I can spend more. It additionally makes revealing inside the association so much smoother and I don't need to invest as much energy in gatherings, clarifying things, any longer. "Within an hour of signing up for Funnel, we automated weekly reporting for all 40 of our clients." Funnel integrates with all the ad networks (not just the big 3) to connect your spend data to your google analytics conversion data. It's extremely easy to connect to a new channel, and their custom dashboards let you report on performance in really any way you need to. Their customer service is brilliant, and they're refreshingly honest about what the product doesn't (yet) do. Funnel does not currently connect with analytics packages other than GA, like Mixpanel, and for the data to associate correctly the campaign name needs to match your utm_campaign. If these two limitations were solved I'd give Funnel a 10/10. If you aren't using Google Analytics, or you aren't doing much paid marketing, this probably isn't for you. However if you are, this is the perfect product. We use Funnel for our weekly performance reporting for clients. It has saved us at least 3-4 hours a week per strategist at our agency, and the pricing is really reasonable for what you get. "I recommend this - with a caveat"
We use this for campaigns and cant imagine using anything else. This saved us multiple times, from a broken middle funnel. Most of our customers were not buying.. and couldnt figure out why?! SO with we gave funnel.io a shot. note: the caveat. This will only be effective if you have a lot of data points to work from . you MUST have run experiements, or have team available who can read data. end note. so with that beiing said. funnel heps bring all data points together to vew data, and customers in a visual journey. very cool! Funnel io is great iusually recommend this for hugh product launches, both startup and enterprises. "A great product that just continues to improve"
The channels and custom reports. I also really like the web explorer and easy data upload features. The custom reports specific to Crowdcube are also highly beneficial in learning how our marketing funnel is building and developing. No attribution reporting, no google sheets yet! More LTV insight and analysis. No link to google sheets yet. The Reporting suite is not yet good enough and I have after time stopped using it. The site product navigation could be a little improved. Funnel is an additional cost on top of your analytics suite. However the insight and granularity is excellent. If you want to be an advanced marketer then you need to view the whole funnel and report on it. Not just but channel or source medium. First Click, Last click, a full funnel view thats better than GA. Non sampled data and attribution. I like this tool because I can do my work very quickly and I don't have to spend so much time each day, I don’t need to check daily all my traffic. At the moment Funnel provides me all I need. I like the customer support and they can give you a nice training about the tool, they can help you how to set up your Google Analytics data. Too much stuff and functions on dashboard. Some features are not intuitive and I have to search for them in order to get help on how to use it. Please check out Funnel if you want some nice forecasting features for business and marketing. This great tool Funnel.io help me to see the financial reports like ROI and I can see these costs automatically and I don’t need to set up manual data. The ease of use combined with the time we've saved from manual reporting and automatically exporting data to google sheets. There's not much to dislike. It just doesn't integrate with one of our small channels, but only because that channel doesn't provide the information we need to be able to get accurate data. But Funnel did try and integrate. It works with every other channel though. Take the time to build out your own custom dimensions, it helps add granularity to reporting. Automation. It was previously a very manual process of getting cost data by different channels and dimensions, now it's automated and flows into Google sheets. We went a step further and push that data into our own BI tool so we can see additional metrics based on our own data. "Great Marketing Analytics Tool for Online Marketers"
I like the best that I finally have a single platform for all cost data. I get data from all my clients ad platforms into Funnel and can hence easily see what is working and what isn't. This saves me a lot of hours on a weekly basis and gives me greater control in general. I dislike the fact that Funnel wasn't invented earlier. I've wasted weeks of my life doing something that Funnel could've done for me automatically. Reporting for all my clients. One of the biggest benefits with Funnel is that I have always up-to-date data under the same roof and that I can see and compare ROI from all platforms. Being able to group data and create custom dimensions is also a great feature to have when working with multi-market e-commerce companies. Funnel is what our entire team - both digital specialists and account executives - use to stay in sync for all clients across our agency. We simply could not do what we do without it. At present Funnel only works with data at the Campaign level. The ultimate feature for us would be to have data available at the Ad Group level as well. Go through the teething issues (& use Funnel's support if necessary) to get it working for your configuration. Once it is working, it will repay you manyfold. Funnel enables us to adopt a Single Source of Truth across all digital platforms. It ties GA session data with each ad platforms' cost data enabling us to compare each channel's performance with each other on an apples and apples basis. "Finally, we can automate our dashboards!" Easily integrates with most advertising platforms as well as Google sheets. takes a little bit of time to understand how to create and utilize data transformations. If you do data pulls manually, stop right now and get signed up for funnel.io. Save your team time and energy. We create 30 or so dashboards a month for our clients pertaining to marketing analytics. We used to do them manually every month. With funnel.io we've been able to automate the process and use more hours for strategy vs. data pulling. "Great tool to make reporting easier!" I love how Funnel.io pulls spend data from multiple sources and automatically pushes this data to my reports in Google Sheets, so I no longer have to manually log into 10+ different advertising accounts and export data to track ROI by channel. I wish it could pull data on the Ad Group level, not just Ad Campaign. But I hear this feature is coming soon! Funnel.io helps automate our reporting so we can see ROI and cost per metrics without having to manually pull spend data from multiple sources. This platform does all the hard work for me. Instead of spending hours collecting all this data in one place for my bosses, Funnel.io does all the collecting for me! Now, all I have to do is send my bosses the report. Funnel.io has made my job so much easier and has provided me with everything I need to get the proper data and reports. Also, if I had any questions, they were there for me every step of the way. Nothing at all. This product does exactly what I thought it would and more. No longer having to collect data on my own. Now, Funnel.io does it for me. "Funnel's customer service is top notch! " Funnel's response time to questions/inquiries are always prompt and handled in a professional manner. They also take every feature request into consideration, and often times will build against, which is a great incentive to continue providing the feedback. 1) If more than a handful of channels in funnel are entered, it will slow down/severely delay the webpage from loading. 2) Time zones make emergency requests take longer. We're in EST, so if we don't send a request before the day ends for your team, we won't receive a response until the next day. Provide as much feedback as you can to their team so they can continuously work to improve the product. We're trying to streamline reporting for our paid reporting, and Funnel has significantly reduced the time we spend pulling manual reporting, with more accuracy as well. I like how easy it is to use and the amount of features to choose from. It's also fairly reliable. Their customer support is always very helpful as well. The analytics seem to go above and beyond other sources. It also offers a wide range of flexibility. The monthly rate is quite high and there are minor limitations to the data presentation. I wish the GUI was more in depth and they should add the ability to create custom reports. It allows me to quickly review a channel's performance and evaluate the performance based on common data across multiple online marketing channels. It has made our office more efficient and removed the need for us to import cost data into Google analytics. Funnel.io looks good but it little bit harder to work on it . Like analyzing the reports. As i told it is good for me but if you can reduce the cost it and make it more simple that will be great. "Great for merging cross team data"
Funnel is great to pull performance data across all your teams needs into one place. It offers a high level overview of cross channel spend and performance and avoid wasting time within each specific ad platform. Creating dashboards can be a confusing process given all the various metrics however the Funnel IO webinars are great resources. Use the webinar resources for any additional learnings and how to leverage the platform to its full capabilities! Using Funnel.io to help track cross channel spend and performance. "Makes Cross-Channel Reporting and Full-Funnel View Easy"
Extremely data agnostic. Connects to any and every platform I've needed in terms of both analytics and advertising. Also offers spreadsheet uploads for any platform not currently supported by it's daily data pull! And the ability to create dashboards pulling from the exact metrics I want makes full-funnel analysis streamlines, and reporting to clients couldn't be easier. Some things aren't intuitive. There's a "dashboard" tab that doesn't actually show the dashboards (not sure why), and some there some wonky naming structure "settings" vs "configuration settings". Pretty minor stuff all around though. The support is top notch, so definitely reach out with any issues. As mentioned, full-funnel analysis across multiple channels has become very easy AND reporting on performance with bespoke metrics makes my clients very happy. "Matching cost data with GA data easily"
I like the possibility to create custom dmension and custom metrics to have incredible detailed reports. It is also possibile to upload cost data occurred with smaller agencies that are not included in the funnel network (which contains big names). The tool is very fast on generating reports having cost data. I don't like the integration with Facebook, that is a little liacking. It's not possible to integrate at insertion level, but only at campaign level. It's a little tricky at the beginning to get used to the process to create custom dimensios, but with some patience you can create some interest reports in the fastet way I've experienced at the moment. I now can analyze my advertising campaigns performances really faster in smooter. "A strong product that is still being developed"
The best thing I like about funnel is that it allows me to maximise the value of my Google Adwords campaign via. Its VOAS and Value tab makes it easier to allocate budget at a glance hereby making my campaigns a winner. What I dislike is the fact that I have to manually do the computations for percentage unlike in Google wherein it reflects the percentage of increase/ decrease or change value. I hope this can be added soon so I don't have to do it manually. Two things that Funnel was able to solved are: Proper allocation of budgets based on VOAS and accurate measurement of the goals / conversions per client. "A time saving tool that represents the perfect addition to - in our case - Google Analytics!" Excellent Support. T dimensions features are awesome! It takes some time until the tool and the ad campaigns are prepared properly. Your adcampaings may need some changes in order to appear in a wanted way in funnel. Mainly regarding the naming conventions in our case. We do save about eight to ten hours per month and we profit from the tool when it comes to decision support. It helps a lot to determine how the marketing budget should be shifted. "Easy set up, easy custom and time saving"
We save a lot of time in reporting! "Funnel io a wonderful marketing tool"
Just make an account with Funnel.io and integrate other software you allready using. It's the perfect combo. I can now integrate Funnel.io with my Google Analytics account very easy and this helps me to work in a more organized way. It really simplifies my tasks. "Great product and great customer service"
The client focus and product. They really try to help you out on each separate edge case. The product is still early stage I think, but they showed to be knowledgeable enough to tailor this product even further to the wishes of each customer and partner. Being able to calculate our UAC - funnel is the tool to go to for me. "Wonderful tool for managing data collection and market reports"
"Funnel makes your headache go away!" One slick system to keep all of your cost and budget related info in one place. Earlier that info could be spread out in several different systems and a nightmare to manage. Nothing that comes to mind. The small issues that have come up have been fixed shortly after i mention them to support. Funnel does lack a few features such as ad reporting, campaign level reporting and funnel reporting, all of which are necessary metrics for accurate analytics. If you're looking for a low cost tool, I would suggest trying Funnel.io. It's great for small to medium sized businesses. I recommend using the 30 day free trial before purchasing. "Great Stuff, helps me to shortcut my processes"
Media sources work like a charm, and with customized measurements and metrics it's simple to imagine basically any unique KPI you may need. "Two thumbs up: Great price and great program"
I like the ability to establish our own custom metrics as well as find performance analysis in one central place. If you're a business who is running different campaigns across various channels, Funnel.io is a MUST for you. Not only does it have so many different features, it also is available for a very low price. Although I am just trying this software out right now, I have no complaints so far. We are able to see overall performance and traffic across channels. "Funnel.io: Time-saving and easy to use"
I like the interface and the one click-connect setups. It's very easy to use! I miss some data connections like full integration to Google Analytics, Search Console and Adwords. I save a lot of time since I know can have my aggregated reports and act on deviations really fast. "Unify all the marketing spend"
Funnel connets to numerous advertising platforms, pulls spend data and integrates into one single format. Harmonized data is ready to be loaded to our data warehose. If we were about developing connectors to all platforms we use it would take months. With Funnel it took minutes. Nothing bad to say. The service works as expected. Measuring Return of Investment for all our marketing campaigns in one single place and with standarized format. "Great concept and application, albeit finnicky"
If you run a large number of campaigns on multiple channels and need a way to easily see spend by campaign aggregated by channel, this is an easy choice. Pacing of ad campaign spend across multiple digital channels. It is much easier and faster to understand how our campaigns are performing and pacing out in the current system. Funnel.io has been super helpful pulling in our data from different platforms. Our company wishes there was a way to see visuals accompany. It has allowed us to take analytics from different avenues and bring it into one concise areas. I like this product. It’s very user-friendly for streamlining sales funnels. I don’t have any complaints. It was really simply to get the hang of and worth the money. Solving the process of easily streamlining a lot of tasks in one place for marketing. Benefits were that it was easy to use even right when I started. * We monitor all Funnel reviews to prevent fraudulent reviews and keep review quality high. We do not post reviews by company employees or direct competitors. Validated reviews require the user to submit a screenshot of the product containing their user ID, in order to verify a user is an actual user of the product. Hi there! Are you looking to implement a solution like Funnel?